Esri Partner Network is a global partner programme for companies developing and delivering GIS solutions and services based on the Esri software programme. It's designed to meet the needs of many types and sizes of businesses, ranging from regional GIS consulting firms to multinational companies delivering geocentric solutions around the globe. 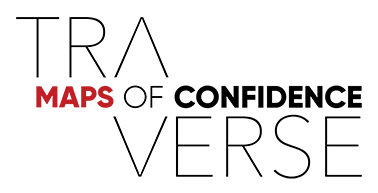 AAM is a Geospatial Services company specialising in the collection, analysis, presentation and delivery of geospatial information. AAM has a long history providing geospatial products and services throughout Australia, New Zealand and the Pacific Islands. With a history spanning well over 65 years AAM have helped to shape the spatial industry in the region. AllTerra is the global dealer brand for Trimble’s geospatial portfolio, now in New Zealand. Formerly branded as GeoSystems, AllTerra symbolises a new brand with a fresh look and feel that has representing the Trimble brand for the past 30 years. BTW Company is a multidisciplinary firm with head office based in New Plymouth, New Zealand. Since 1973, BTW has been offering its services to Government, industry, and private individuals. BTW's seven disciplines include Surveying, Engineering, Planning and Environmental, Geographical Information Systems (GIS), Development of Project and Land Management Systems, 3D Laser Scanning and specialist services to the energy industry. Climsystems design, develop and market advanced software systems for assessing impacts and adaptations to climate variability and change that remain at the forefront of developments in the field. Climsystems offer software licenses, training, consulting services and customised model developments to a range of national and local governments, planners, educators, students, international agencies, private consultants and companies in order to meet their needs for addressing climate risks. Climsystems works with with a range of partners, including Esri, CH2M Hill, RPS, SMEC and clients such as AECOM, SKM, Danish Hydraulic Institute, Climate Planning Pty, and a myriad of Universities around the world. Firstname uses smart data techniques and location based analysis to help you know and understand you customers. GBS is an Esri Certified Gold Partner. GBS and Eagle Technology have a business relationship reaching back more than 12 years. GBS has been instrumental in delivering high level GIS solutions to local government, government, forestry and agricultural sectors in New Zealand. GPS-it Limited provides customised land mapping solutions both across New Zealand and internationally specialising in the horticultural and agricultural industries. Mapping with GPS and speciality GIS and RTK systems, ensures accuracy and mapping of all property features. Isovist are proficient in GIS systems, from Desktop to Server using mainly Esri technologies. Isovist has in depth knowledge of spatial data and geodatabases, and integrating GIS with other systems such as Asset Management and Enterprise systems. Lynker Analytics is a data science company delivering consulting services and solutions in three key areas; Artificial Intelligence, Geospatial Analytics and Data Visualisation. We use machine learning technology informed by location data to model and predict future state conditions across a variety of systems and processes. Expert in the applied use of the Esri technology stack we believe AI is now a vital part of any geospatial solution. 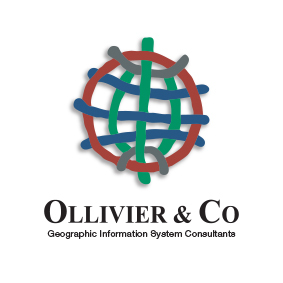 Ollivier and Company are GIS consultants specialising in Esri products for local and regional government applications. Principal Kim Ollivier has worked as a civil engineer at both technical and management levels within New Zealand local authorities and private industry. Traverse believes viewing information through a location perspective enhances understanding. Traverse focus on ROI, resilience, response to change, trusted information and accessibility.